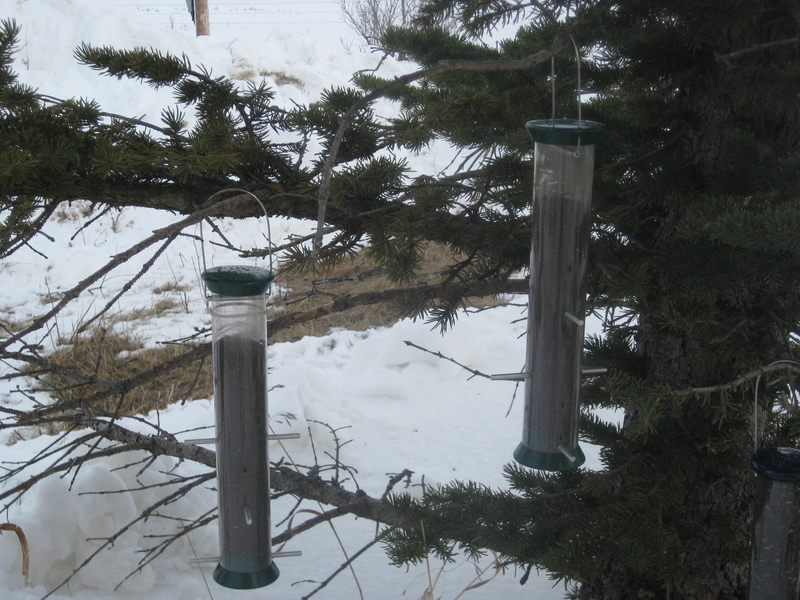 I love my bird feeders, most of which are Droll Yankees which are wonderful. Three of them are the green 15″ nyjer feeders and are four years old. They’ve weathered very well, with no chipping or fading. 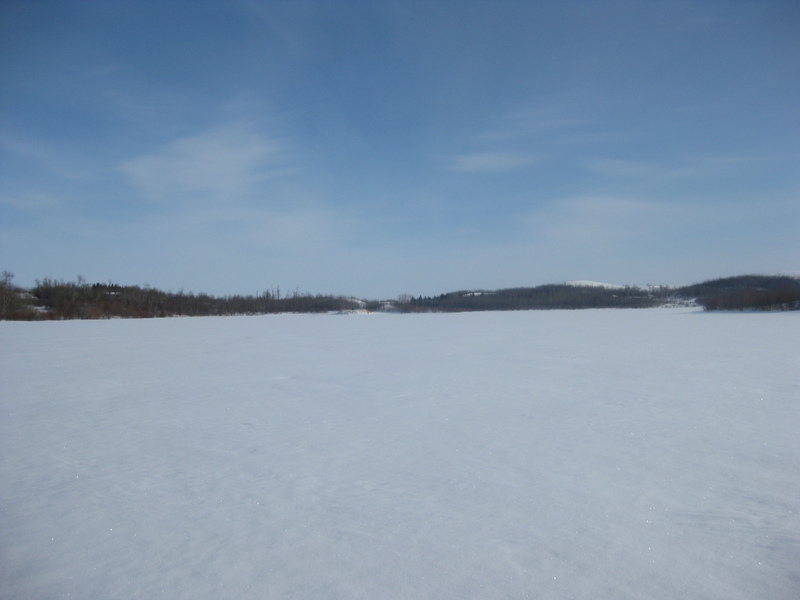 We have very cold winters, and in the summer have very long days with lots of sunshine, so both extremes can be very hard on plastic. My mother bought them when we were in New York and we brought them back in our luggage. 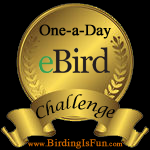 Last year she brought back the 36″ finch feeder, and it was so big it wouldn’t fit in the suitcase. She had to carry it on the plane in a fishing rod case and put it in an overhead compartment. 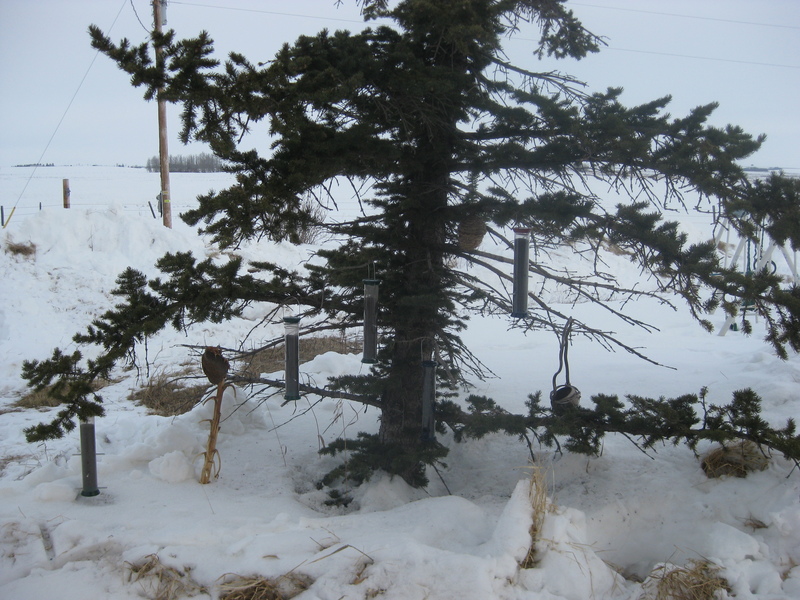 Droll Yankees make so many different kinds of feeders that it can be hard to choose one you like the most! 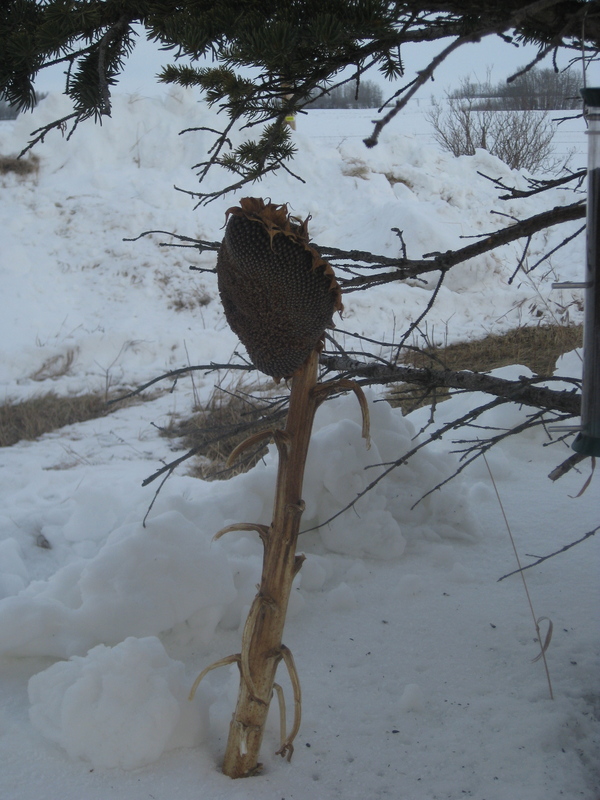 This is my Droll Yankees sunflower feeder, which I won last year on Ray Brown’s Talkin’ Birds radio show, by correctly guessing the mystery bird. Thank you, Ray! 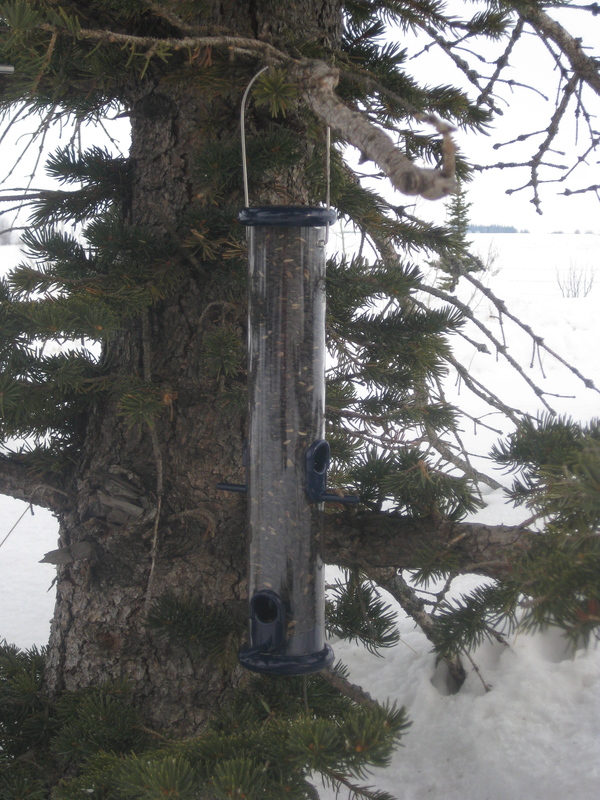 I also won an American bird feeder on the show, it has red and blue, but the birds don’t seem to notice! 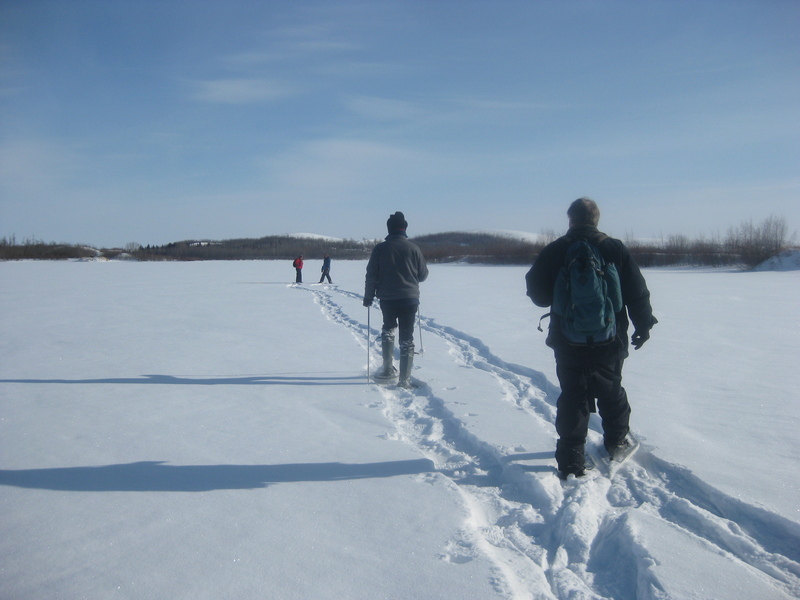 Every February our naturalist society holds a day of snowshoeing and sleigh rides followed by a potluck. 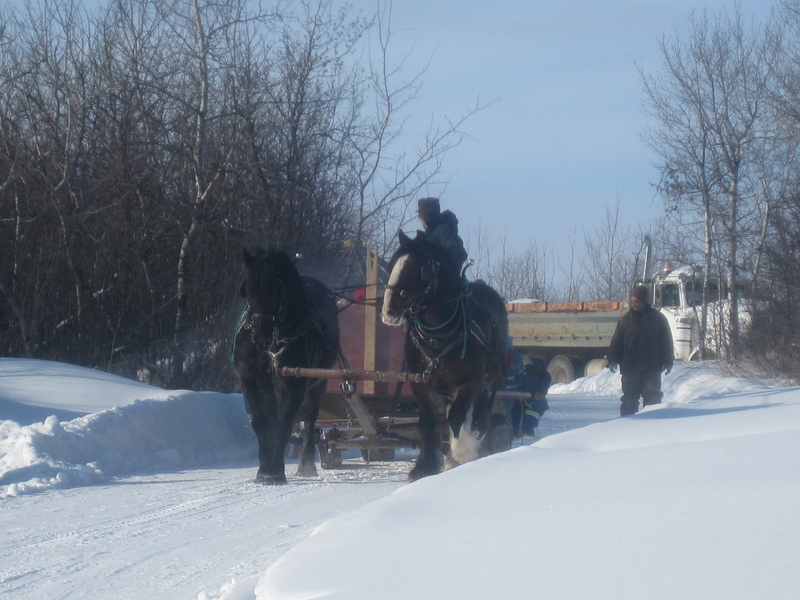 We had a beautiful day for it last Saturday with a sleigh ride to our destination. Then we snowshoed the rest of the way. As we were trudging (!) 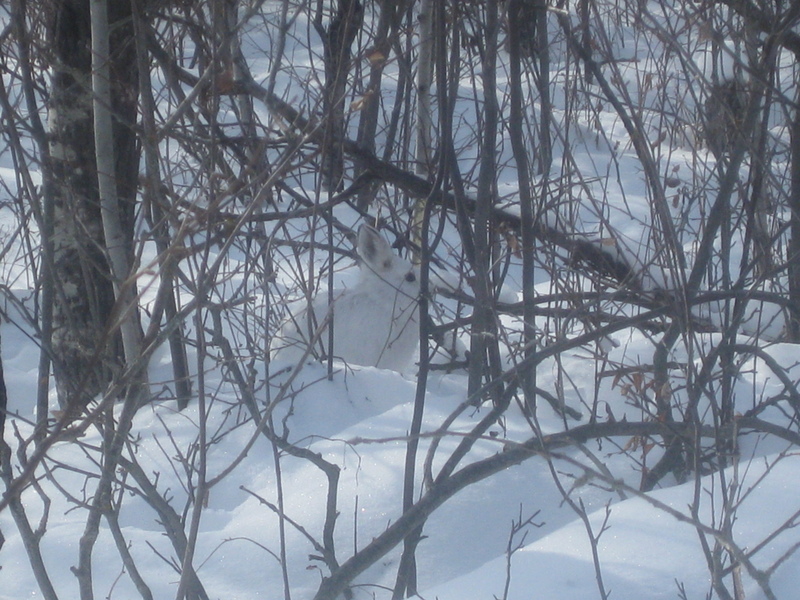 though the woods a snowshoe hare lept out of the trees, ran a ways, then stood very still as we watched it. 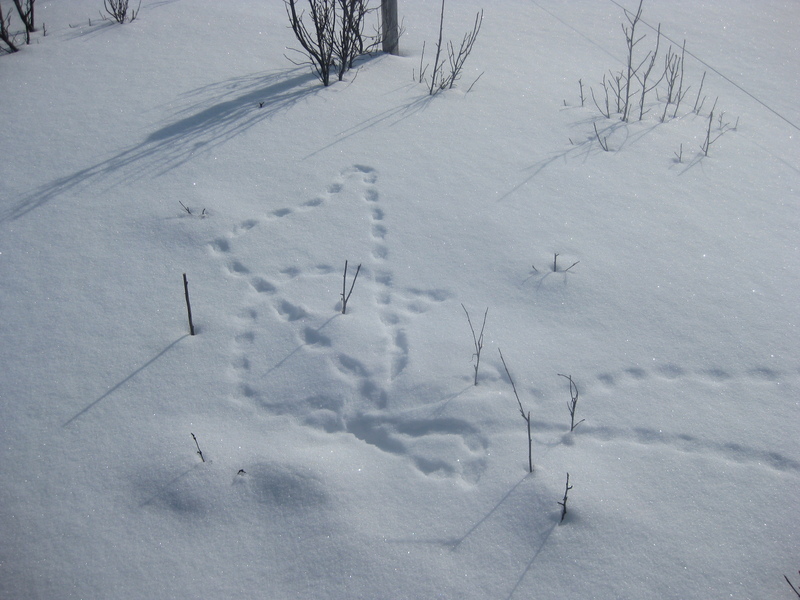 We also identified some tracks, from white-tailed deer, snowshoe hare, and weasel. After the walk there was a wonderful potluck supper with roast beef with hot apple cider. I made devilled eggs and chocolate cake. 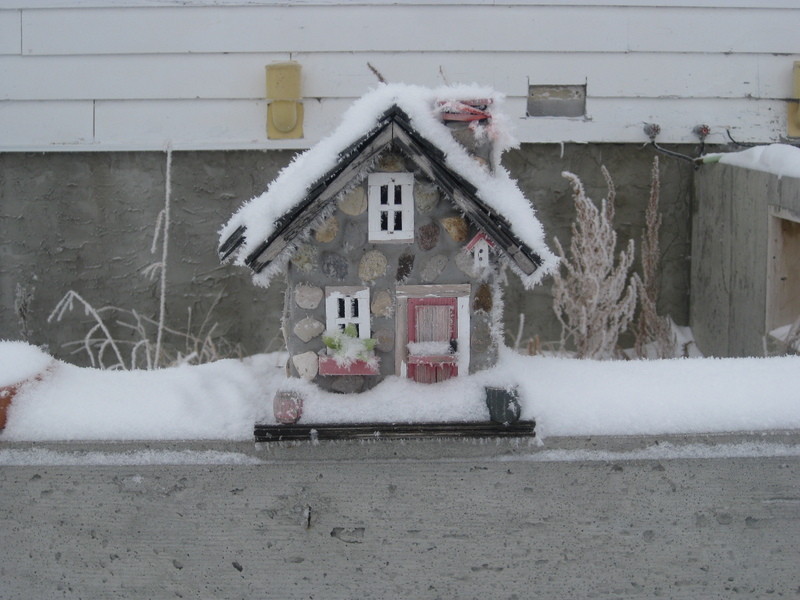 We were all so happy that while we were eating supper that the sun was still shining at 6 pm, which means that the days are getting longer and Spring must be around the corner.